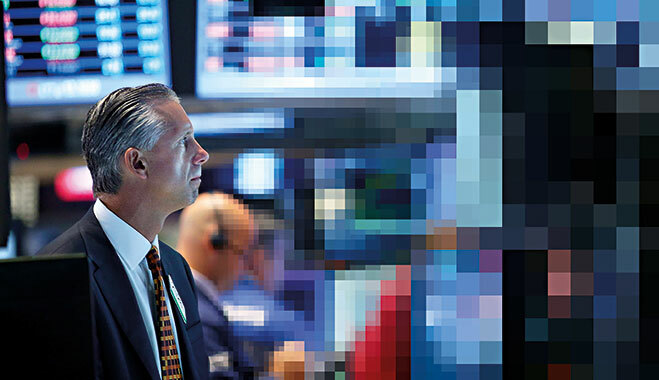 Controlling high-frequency traders: can it be done? Black box trading, or high-frequency trading (HFT) as it is also known, is a divisive topic. Some see these automated systems as the future of the financial markets. Others, like Joe Saluzzi, an expert on algorithmic trading, sees the machines and the people behind them as parasites, which are not only destroying the stability of global financial markets from within, but also themselves. The rhetoric might make these systems sound sinister, but they do possess a number of attributes that render the average investor a mere pawn in the market. One is their sheer scale, with HFT controlling a mammoth share of the market. In the US alone, it is estimated that HFT accounts for anywhere in the region of 50 to 70 percent of all equities volumes. Another is speed, with modern algorithmic trading systems capable of sending order executions in 740 nanoseconds (0.00074 milliseconds), which when compared to the average human reaction time of 0.30 seconds, it becomes clear that regular investors simply don’t stand a chance. Many would argue that HFT is simply the new edge and that may be true. One industry insider, however, claims to have extensive experience with these black boxes and argues that for all the power it wields, HFT is extremely partial to ‘blowing up’. The real question, therefore, is: if HFT is inherently unstable, why are regulators not doing more to reign it in and why are investment managers like Leda Braga so bullish about the algorithmic trading strategies? The author of Black Box Trading: Why They All ‘Blow-Up’ goes under the alias Dominique Dassault, and claims to have 26 years of institutional capital markets experience. Her blog post provides a fascinating insight into what is really going on inside these black boxes, and seemingly under the nose of regulators. In the post, Dassault recalls a conversation that she had with a leading quantitative portfolio manager, who explained how despite their “obvious attributes”, speculative algo-trading systems are very difficult to control. He asserted that, while these algos may work effectively for a time, eventually, and seemingly inexplicably, they eventually ‘blow-up’. Meaning the most important part of HFT is not the stability of the model, but knowing when the model was about to fail, so you can pull the plug in time. He then informed her why these models eventually implode. “Because despite what we all want to believe about our own intellectual unique-ness, at its core, we are all doing the same thing. And when that occurs a lot of trades get too crowded… and when we all want to liquidate [these similar trades] at the same time… that’s when it gets very ugly.” Dassault noted that she was naïve to think otherwise. The key thing to take from all this is that the fallibility of humans will inevitably be incorporated into the algorithms they design and this poses a serious problem for regulators, as it is extremely hard to mitigate the risk that HFT presents. In the past, when markets got a little too hectic, traders could always stop and take stock, giving the market time to self-correct and find its footing. Investors could always just stop buying or selling and just wait for the market to settle down a little. But nowadays, with so much of the volume provided by machines, when markets get a little too chaotic, they tend to stay that way for longer, because HFT doesn’t tend to take a time out. When there are big swings in the market, this is where black box systems come into their own, adding to the unpredictability of financial markets in the process. In a highly volatile market, if HFT is left to run, the results can be tremendously varied and unpredictable. And while it may not always disrupt the market in a negative manner, it does have the power to cause flash crashes, which impacts overall investor confidence in the market and could even play a role in the next crash. In order to maintain investor confidence and market stability, regulators in the US and globally have investigated HFT to ensure that it isn’t abusing the market. Sadly, much of the action taken by regulator is reactive rather than preemptive. “Sorry to say this, but I view the SEC as generally unimpressive”, said Dassault. “They are similar to the police. Typically, they show up after an event to clean up the mess. They seem to be very slow in their movements… they’ll [spend] five years trying to ‘figure out’ the flash crash, but they’ll never have a complete answer.” The event Dassault is referring to is of course the May 2010 flash crash, which saw the Dow Jones Index fall by 1,000 points in a matter of seconds. Many market participants and commentators simply stood in shock, quite unsure of what to do next, when, all of sudden, and almost as quickly as the market fell, it found its footing again – leaving onlookers stunned. Initially, HFT was blamed for the crash, but nobody really knew for certain. Others thought that it was the result of what many in the industry call a ‘fat finger’ mistake. Needless to say, a joint investigation by the SEC and CFTC was launched, which six-months later was able to pinpoint the cause of the crash: the sale of 76,000 E-mini S&P 500 futures contracts by a large institutional investor, a move that was then mimicked by other algos in the market, driving the index down with it. It took five years before regulators managed to identify who they think the culprit of the crash was. Dubbed the “Hound of Hounslow” by the press, British-born investor Navinder Singh Sarao, was recently implicated by US prosecutors who accused him of triggering » the crash by manipulating markets on a massive scale. The fact that it took such a long time to catch up with the alleged market manipulator highlights just how in the dark regulators really are. “As with most financial crashes, the exact cause is uncertain and has been blamed on a number of factors, but algorithms certainly played a part since they dominate most normal trading”, explained Orrell. Many just turned themselves off as prices began to fall.” It would be nice to think that the SEC-CFTC learnt something meaningful from the crash, but when they published their summary report, outlining their recommendations regarding regulatory responses, it showed just how in the dark both regulators are about the dominance of HFT in the market. Yet, the main thing that regulators took away from the 2010 flash crash was that when the market is particularly volatile, the automated execution of a massive sell side order has the potential to cause large swings in price. Regulators were able to see how automated execution programmes like the one allegedly used by Sarou, along with HFT can almost instantly remove liquidity from markets. The next flash highlighted just how sophisticated HFT has become. On April 23 2013, a tweet was published on an Associated Press Twitter account that claimed a massive explosion had gone off at the White House. Almost immediately, the Dow Jones reacted once again, but this time by just one percent, yet as before, quickly righted itself within a few minutes. Regulators are still unsure of what caused the mini flash crash, but some commentators believe that it is another example of HFT fuelling instability in the markets. If the crash was the result of HFT, then it proves just how sophisticated black box trading has become, capable of responding to news keywords at lighting speed. But responding fast, especially to false information, it is not necessarily something worthy of praise, as such drastic action merely helps to turn declines into crashes. A more recent example of a flash crash took place on October 15 2014 when prices of US Treasuries spiked up by over seven standard deviations, but were back to normal within 12 minutes. This time the US treasury jumped on board and collaborated with the SEC and CFTC to investigate the cause of the crash. In the report, the regulators explained how ‘the market for US Treasury securities, futures, and other closely related financial markets, experienced an unusually high level of volatility and a very rapid round-trip in prices.’ What makes this crash stand out, however, is that the US Treasury market is accustomed to low-levels of market volatility. In the end, the report concluded that a combination of HFT, economic uncertainty, and larger trading volumes contributed to the crash – nothing new here then. But the regulators did pick up on a new risk that HFT brings to the market. It is known as ‘spoofing’, which is the name given to the process of competing algos bluffing trades back and fourth in an attempt to get the other to make a move in the market that can be capitalised on. Technology has always driven innovation in financial markets. It has allowed for greater transparency, better communication, and lowered costs of doing business. Not only that, but during a time of increased regulation, technology has helped the industry to not just develop and grow, but thrive. It is just one reason why regulators have been reluctant to implement strict rules around HFT, as despite its obvious flaws and the periodic risk it poses to the stability of the market, it – and the quants that program it – also bring many advantages. Yet, not everyone is so sure that the pros and cons level out. Orrell argues that quants do indeed add value to the market by calculating prices for financial instruments such as derivatives, which are used by a diverse range of firms and individuals. But he also thinks that things get dangerous when they start developing complex new products and trading strategies that no one else can understand. “There are too many incentives in place for them to play down the risks when there are profits to be made”, he said. “Also the strategies often involve a lot of leverage, which is destabilising. “Note the risks are asymmetric because there is a lot to be made in bonuses etc., but little chance of losing [directly] themselves because they can just walk away from the job if their bets go wrong.” The prevailing argument in certain circles is that HFT provides extra liquidity and reduced margins, but according to Orrell, most of the assets they deal in are pretty liquid to begin with, and the margin is complicated because it depends on whether traders can execute before the price shifts. While he acknowledges that these issues are not very relevant for buy-and-hold investors. He believes that in the grand scheme of things, HFT manages to extract money from the market, which is why, despite its proclivity to ‘blow-up’; it remains a popular market strategy. The challenge that regulators face is two fold. On one hand, they must try to identify where black box trading systems present genuine risks to the market and come up with suitable legislation to reduce said risk. While on the other, they must try to keep pace with the market, no matter how quickly HFT makes it move. Only then will they have the necessary powers to challenge trading activity that harms investor confidence and other market participants. Regulators have always struggled to match the speed of the market, as these overseers, by their very nature, are reactive, but just because the SEC lacks the money necessary to build systems capable of monitoring HFT, the algorithmic trading expert offers up an interesting alternative. As he sees it, the most contentious form of behaviour exhibited by black box trading platforms is ‘spoofing’ – the action of placing an order to buy, but immediately retracting the bid without filling the order, which is a form of market manipulation, as it tends to drive up securities price. He suggests limiting their ability to do so, by implementing a minimum life on orders. This could very well be an option and is one that has been floating around for some time, but coming from someone who refers to black box trading as parasitic in nature, means that they are probably not the best person to put forward the proposal. It is also wrong to demonise algorithmic trading. After all, HFT is just the new edge in a world dominated by technology and machines. Rather than worrying about whether or not it creates more or less stability for the financial markets, it is more important to have a backup plan if the market turns sour like it did in 2008. One simple solution that has been proposed, but which has faced much push back from the members of the financial industry is the implementation of financial transaction tax (FTT). According to a 2009 report by The Centre for Economic and Policy Research, a 0.5 percent levy on all stock transactions would be capable of raising $110bn a year – even if trading fell back by 50 percent as a result of the tax. And while an FTT rate of 0.5 percent is relatively high, legislative action like this would help make up for regulatory incompetence and offer the market and wider society protection against black box blow-ups and other negative market forces.